On May 28, 2018, the Modena Fire Company took time out of the Memorial Day to help pay respect to our veterans. The fire companies participated in a parade for "David's Drive." 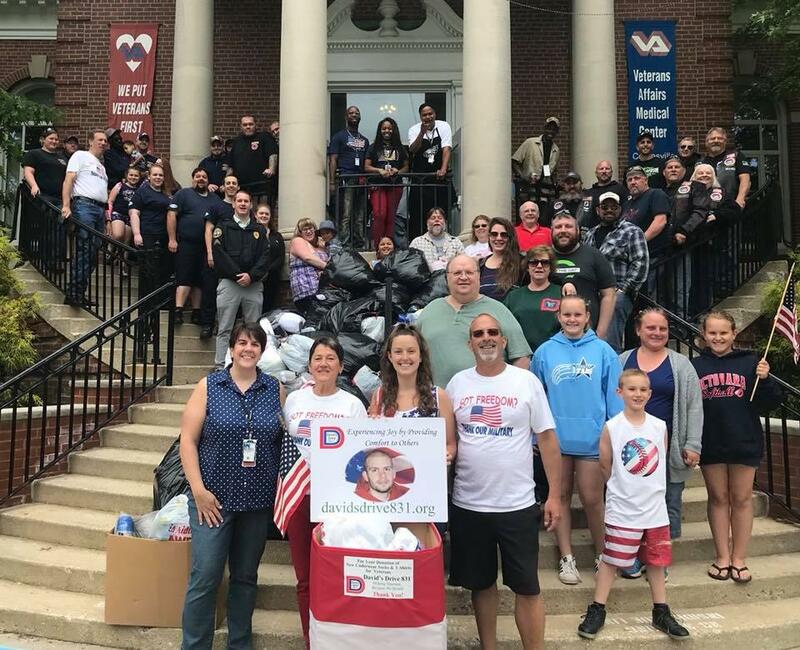 This began at the East Fallowfield Park and ended the Coatesville Veterans Hospital, to deliver clothing and personal hygiene items which will be distributed to our Veterans. The event was organized in memory of David Turner, Jr.; a young local East Fallowfield resident. After his untimely passing, his family started the clothing drive and other events to benefit the Veterans of our military. Once we arrived at the Veterans Hospital, fire company members assisted with unloading the items that were to be donated. The Modena Fire Company would like to thank the organizers of David's Drive for inviting us to participate in these amassing events once again, we look forward to next year.